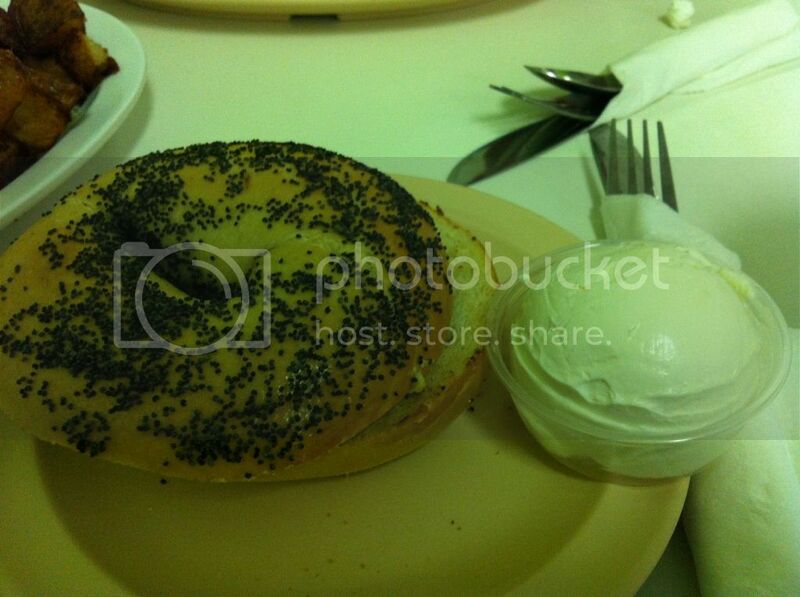 I was running errands on Saturday when I came across Brothers of Brooklyn Bagel Restaurant in Miami Lakes. I was somewhat surprised and intrigued to find a New Yorkesque bagel/deli shop so close to Hialeah. So naturally, I had to check it out. My boyfriend and I walked in only to find the Miami-Dade fire rescue in the middle of the restaurant giving first-aid to someone who had apparently gotten sick and vomited all over the place (red flag #1). The hostess suggested we walk through the kitchen to bypass fire rescue but she warned, "Just don't mind the kitchen, it's really dirty," (red flag #2). I looked at my boyfriend wearily, but we decided to stick it out. He insists that I'm trying to kill him with some of the restaurants I drag him to and I could already tell I was never going to her the end of this. 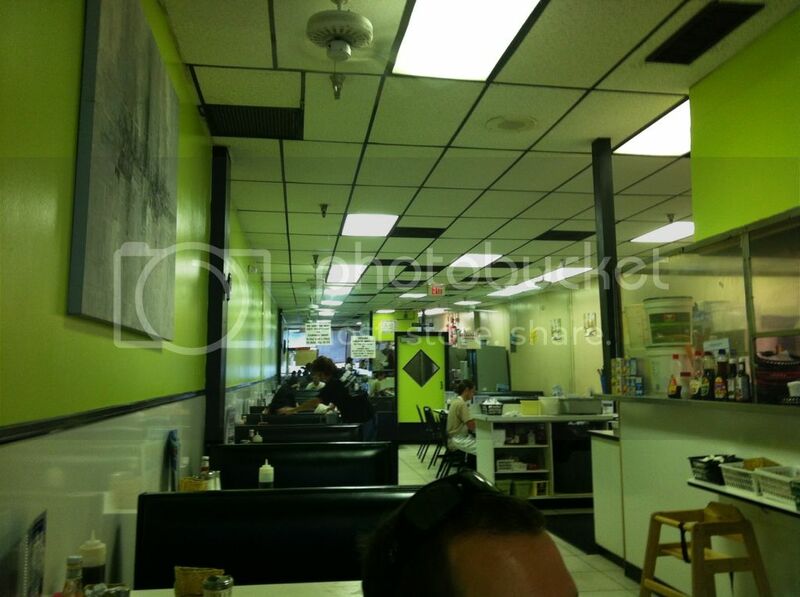 A lot of the kitchen is exposed and the drink/coffee station is right in front of the tables. 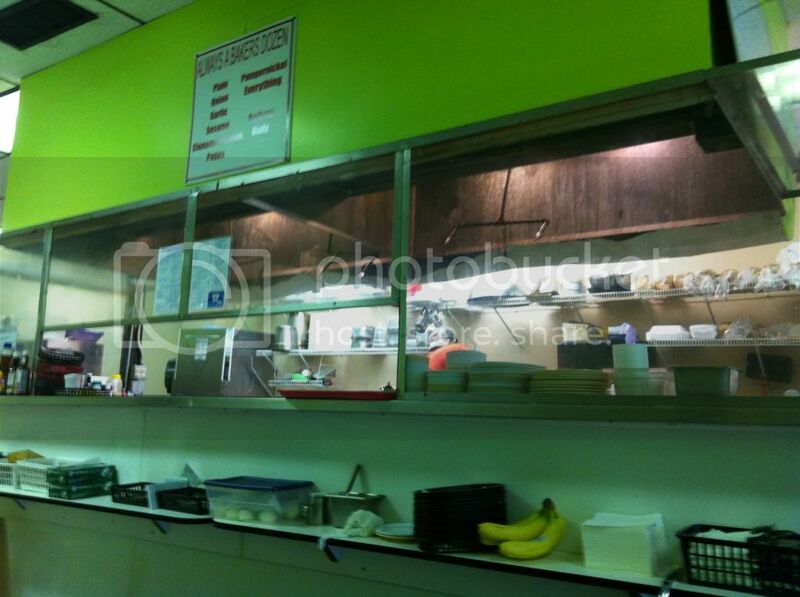 One quick look around and I realized not only was the kitchen dirty, the whole restaurant was a grungy, greasy mess. We decided to just go ahead and order some food against our better judgment. I ordered their two eggs any style meal that comes with your choice of bacon or sausage, grits or potatoes and bagel or toast. I decided to get fried eggs, bacon, potatoes and a poppy seed bagel. The eggs were cooked just right, thankfully, and the bagel was ok (Einstein’s or Panera is better). However, the bacon was cold and you could tell it had been sitting around for a while. 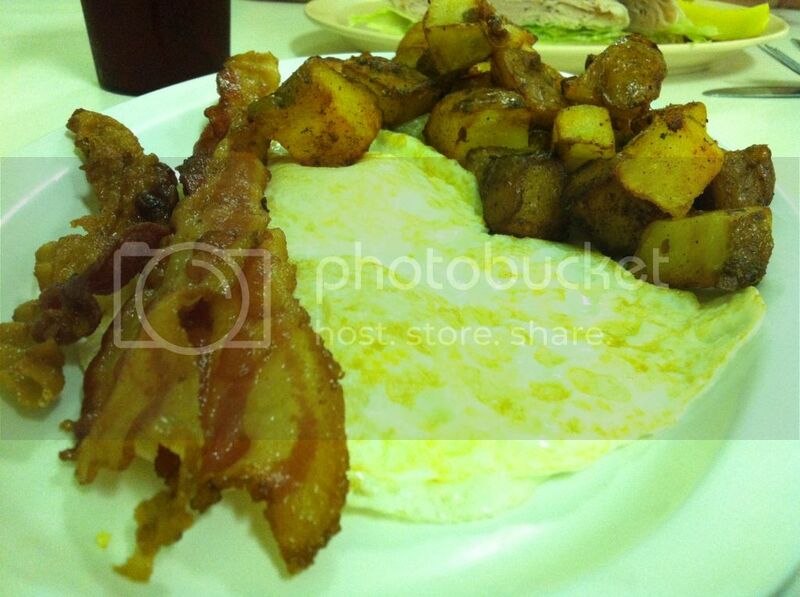 Although the potatoes were freshly made, several pieces were raw and completely undercooked. My boyfriend had their turkey sandwich. He said, "It's good, it's just a regular turkey sandwich." I will admit his sandwich did look pretty good. 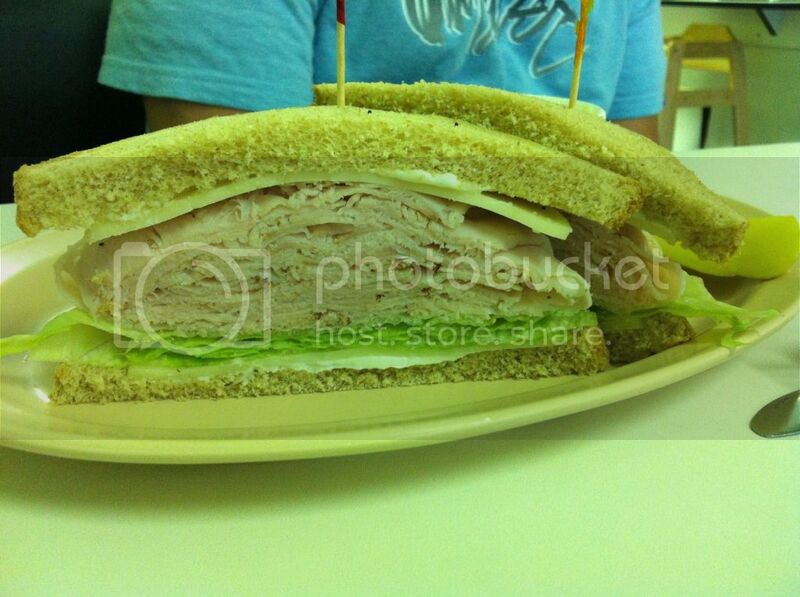 It was piled high with turkey meat, a slice of Swiss cheese, mayo and some lettuce on wheat bread. Once we were finished, we quickly paid our bill and were on our way. The service was friendly and accommodating, but I won't be going back to this restaurant. Not only was the food not good, the mere appearance and admission that the kitchen is dirty was completely off-putting. If you're in the area, do yourself a favor and go to Einsteins down the street. You are one brave chick! Wow, I've worked in restaurants for years & I can believe that she openly stated that it was dirty ickk. Glad you're still alive from that "experience". Yikes. I can't stand wasting my money on bad food. Thanks for the heads up on this place.